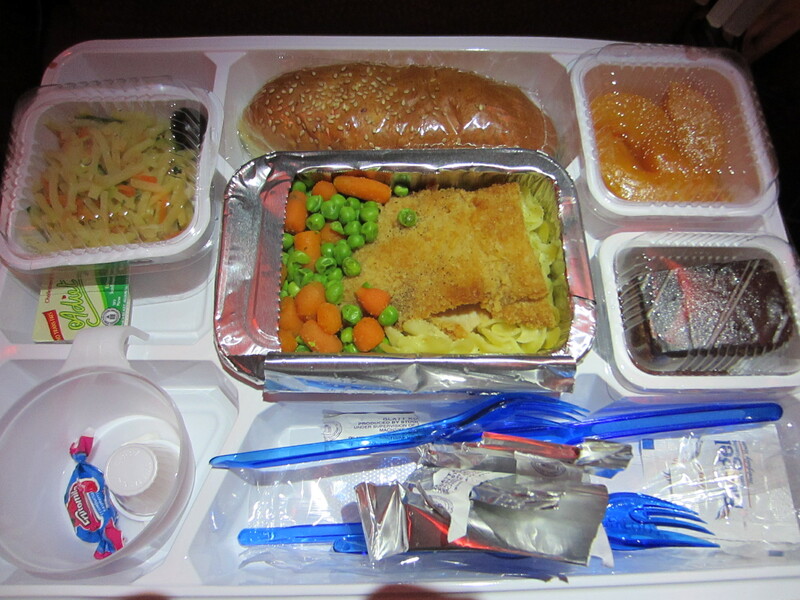 MIDDLE Eastern airline, Emirates…Yes, I make no excuse for liking Kosher food. The rules are very strict if you are an Orthodox Jew. 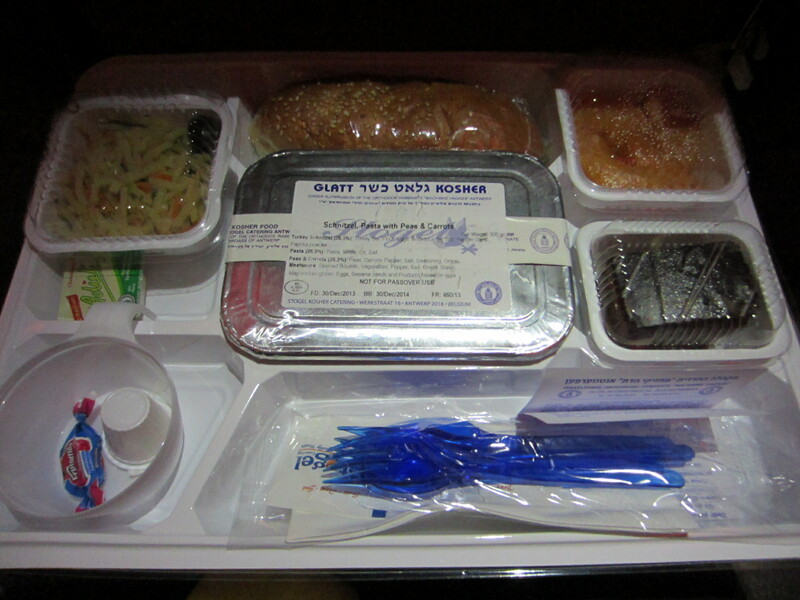 The Glatt Kosher meal pack served on Emirates is carefully sealed and certified Kosher by a Rabbi. It is truly one of life’s little ironies that the two communities for the most part do not see eye to eye…and have been in conflict for many years! Here are some photos of delicious Kosher food I enjoyed on a recent flight to Dubai on special assignment as The Travelling GourmetTM. I have to check that the seals on the meal pack are not broken and then break the seals before the Flight Stewardess to heat them up. With my Chicken Schnitzel, pasta, peas and carrots I enjoyed a glass of D’Arenberg The Stump Jump white wine…a blend of Riesling, Sauvignon Blanc, Marsanne and Rousanne form the Maclaren Vale in South Australia. 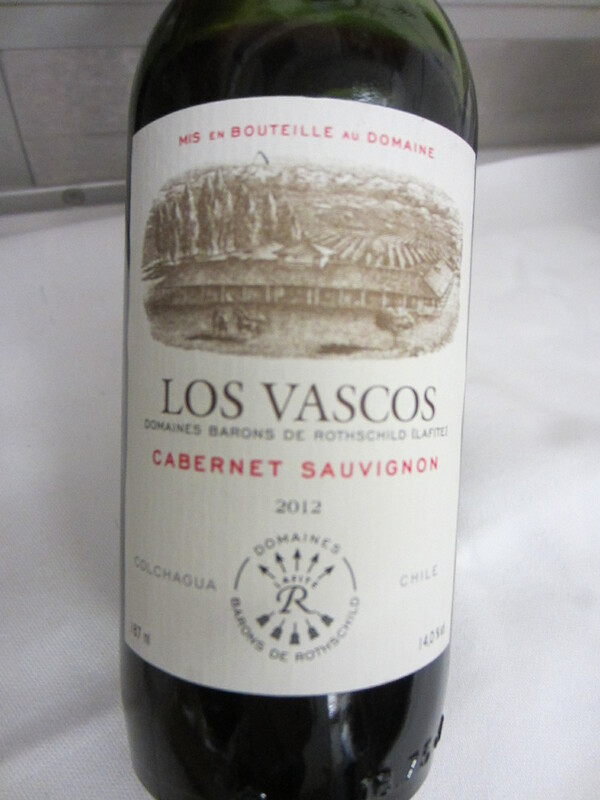 Lovely floral notes with light tannins…it went well with the chicken. Only expressive wines can be served at 30,000 to 40,000 feet above sea level because the high altitude and low humidity of about 2% affects the taste, aroma and flavour perception of the wines. The Travelling GourmetTM doing some wine tasting 35,000 ft ASL with my friend who is an Emirates Flight Stewardess. This entry was posted in Fabulous Food, Food and drink, Gorgeous Wines!, Travel, Voyages, Wine Appreciation and tagged Chicken Schnitzel, D'Arenberg wine form Australia, Dr. Michael Lim is The Travelling Gourmet, Dubai, Emirates Airline, Halal Food, Kosher Food, Orthodox Jew, rabbi, The ravelling GourmetTM. Bookmark the permalink. 14 Responses to Kosher food on Emirates! Halal food has no pork so I stand by my statement that Jews can eat Halal food and vice versa. unfortunately alot of halal food does not meet the requirement of not mixing the dairy and meat products. Thats the biggest catch usualy. Actually, halal meat is not kosher. In order for meat to be kosher it has to be slaughtered by a rabbi with a single cut to the neck, the blood drained with salt, and a specific blessing has to be said. Halal meat is not slaughtered by a rabbi and a blessing is not said. Prawns, for example, are halal but not kosher. 🙂 Thank you for visiting! Shalom. Do you like Borenstein and Vogel? I love Kosher food! Cheers! Shalom! It’s nice to see that we can eat kosher food on Emirates, I’ll try to fly with them in the future. Mu slims can eat Kosher food, however Jews in no way whatsoever can eat Hallal food. The kosher seals are not supposed to be broken before into the ovens at all! They are only supposed to be broken after being taken out of the ovens & then given to the passengers with both seals intact. Thank you Avrumi! Very insightful! Can I ask why is it that Muslims can eat Kosher but Jews cannot eat Halal which also has no pork??? I thank you in advance for your kind answers. My Mum always told me “Live and Learn! I found your post when I was looking to see if Gulf Airlines had Kosher, so thank you for the interesting post. I like what your mom taught you, we should always be living and learning, open to new ideas. I can try to answer your question my friend, first of all majority of Jews don’t keep Kosher, so we are talking here about religious Jews. The main reasons are that when it comes to meat or poultry, it has to be slaughtered in a specific way by a Rabbi. The other issue kosher laws require separation between meat and milk. If you want an interesting fact none of this is actually from the Bible though it’s based on Rabbinical interpretations of the Bible (Torah). [I’m sure some Orthodox will try to argue with this lol] Another interesting fact is that while many Muslims will eat Kosher food when Halal is not available, there are some exceptions, especially Alcohol which is kosher but Haram for Muslims. Jews and Muslims have much in common, it would be so nice if we all could get along. Best regards from Israel.